Yes, you heard it right! 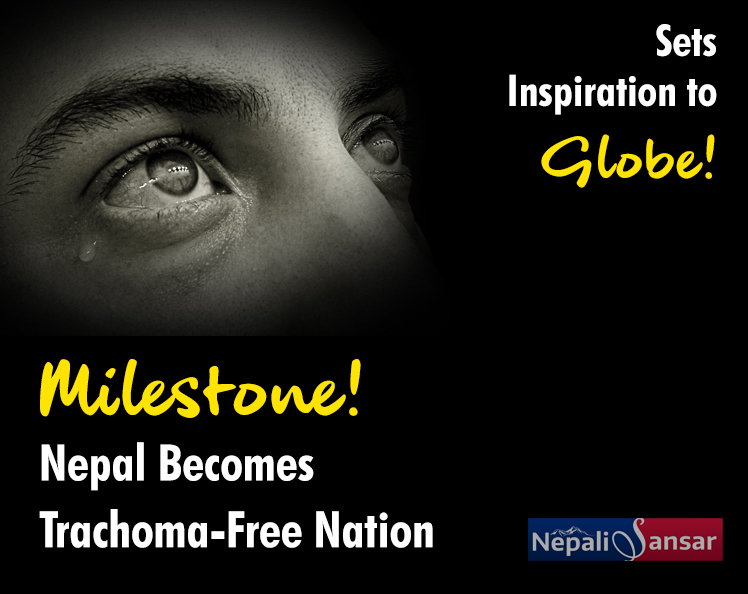 In a milestone achievement, Nepal fully fought out the eye-concerning trachoma disease with the full-fledged volunteer and governmental commitment. The World Health Organization (WHO) validated this in its recent announcement calling this as a milestone achievement for the country. 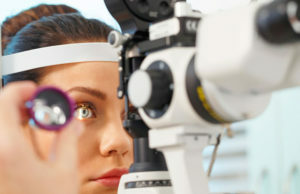 Nepal “becomes the first in WHO’s South-East Asia Region to defeat the world’s leading infectious cause of blindness”. WHO South-East Asia Regional Director Dr Poonam Khetrapal Singh and WHO Director General Dr Tedros Adhanom Ghebreyesus in Geneva, Switzerland handed over an acknowledgment letter of validation to the Nepali Minister of State for Health and Population Padma Kumari Aryal as part of the World Health Assembly. Officials had a round of applause on Nepal for this ground-breaking achievement of dealing out with the disease of concern. 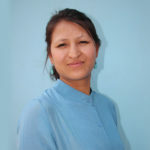 The Government of Nepal involving the Minister of State for Health and Population, the Ministry of Water Supply and Sanitation and the Ministry of Education, supported by the strong commitment of local health workers and volunteers drew deserved focus for their efforts on this achievement. 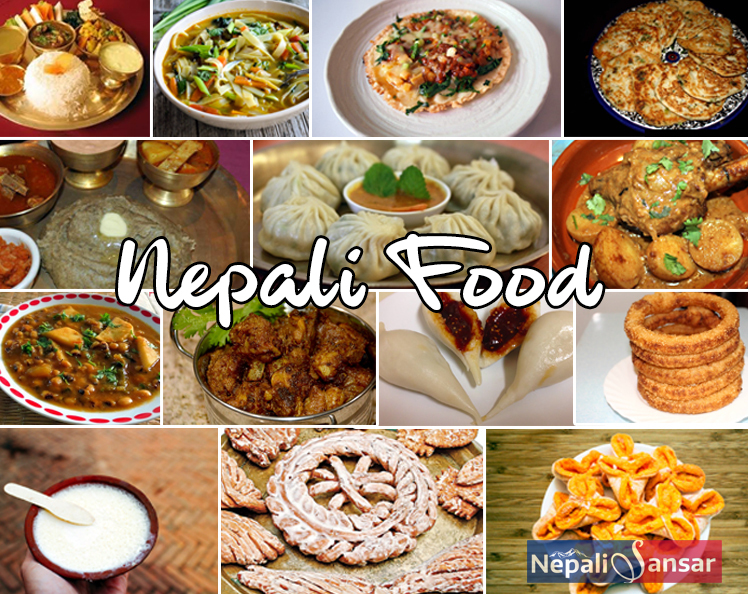 Nepal has really come a long way for finally dealing out with the world’s leading infectious cause of blindness. The struggle dates back to the 1980s when Trachoma was the second leading cause of preventable blindness in Nepal. 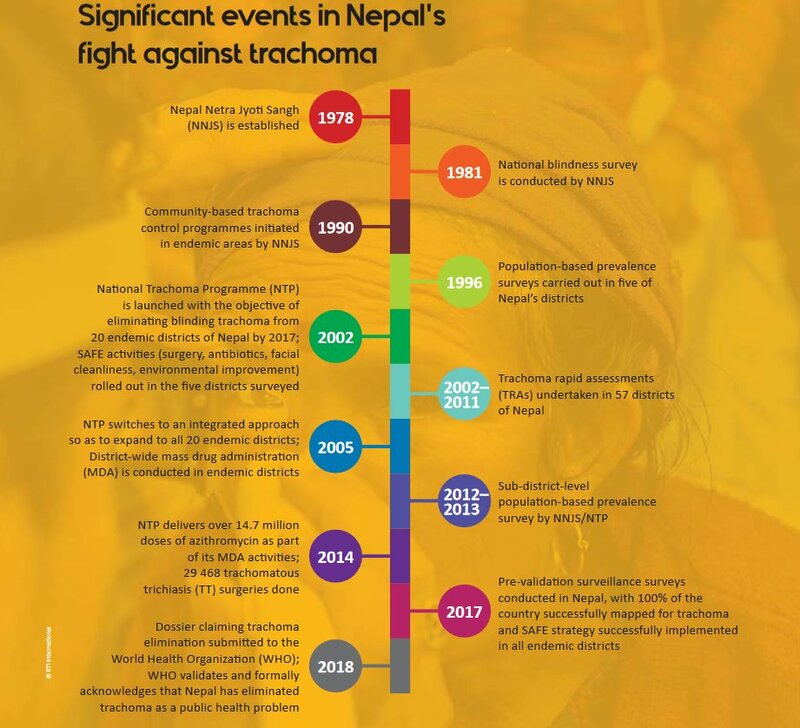 Stepping up the efforts, the Government of Nepal took a serious initiative in 2002 by establishing the national trachoma program for the complete elimination of the disease. As part of this effort supported by sustained control activities, the country could see the prevalence of active (inflammatory) trachoma fall by 40 percent during 2002-05. Meanwhile, the Ministry of Education also proved its significant role in taking the program to the next level by spreading awareness across the nation while also proposing the inclusion of a module on trachoma in the school curriculum. As part of control activities, the Ministry of Water Supply and Sanitation played crucial by supporting the local communities and districts with the necessary incentives required for building basic infrastructure facilities that improve sanitation and control disease-carrying flies. The mission to fight trachoma also involved activities across the country. As a result, a series of health surveys conducted progressively during 2005-15 proved the falling rate of active trachoma in children below the elimination prevalence threshold. Low prevalence after the discontinuity of mass antibiotic treatment was also observed. The efforts to fight trachoma took a serious turn in 1998 when the World Health Assembly resolved to eliminate trachoma as a public health problem globally. ally started meeting targets for national elimination of trachoma as a public health problem. WHO has been in the forefront in taking ahead the initiative on a global scale. As part of its efforts, WHO launched the WHO Alliance for the Global Elimination of Trachoma by 2020 (GET 2020). Under this initiative, WHO stepped up efforts to support country-wise implementation of the SAFE (Surgery for trichiasis, Antibiotics to clear infection, Facial cleanliness and Environmental improvement to limit transmission) strategy and strengthening of national capacity through epidemiological assessment, monitoring, surveillance, project evaluation and resource mobilization. In 2014, Dr. Khetrapal Singh identified the elimination of neglected tropical diseases as one of the flagship priority programmes across the globe. 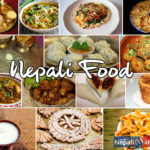 As a result, the countries in the region including Nepal continued their concerted efforts and Nepal eventually emerged as the first one in the region to fully eliminate the disease nationwide.